New construction in Midway School zone! 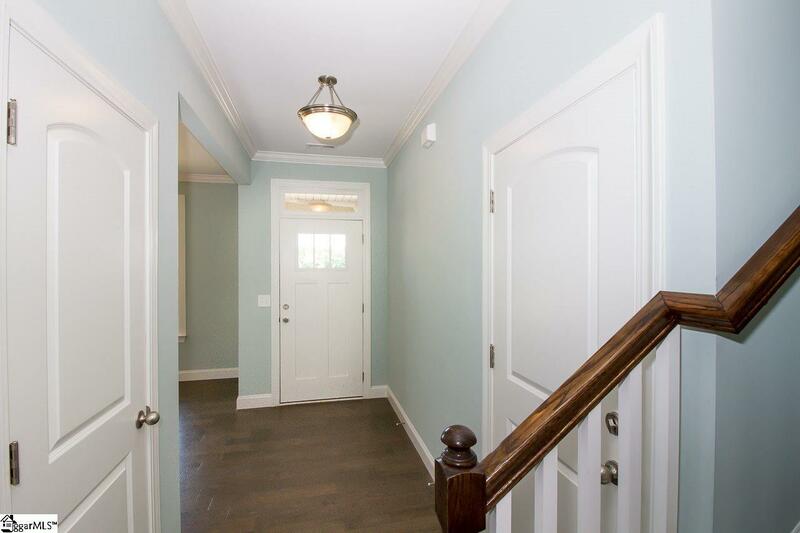 This "Brickfield Plan" Craftsman style home has over 2,000 square feet of impressive upgrades throughout. Located in the desirable, developing Martin's Trail subdivision, this three bedroom, two and a half bath home has both a bonus and dining room! 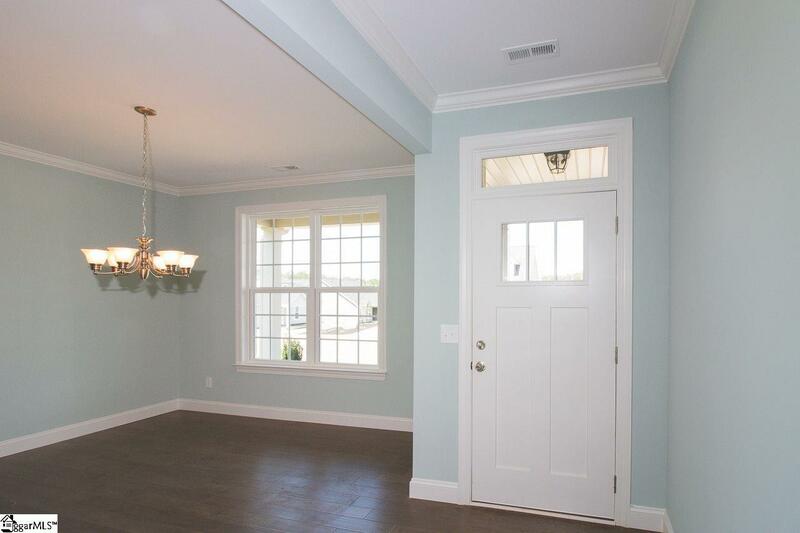 Engineered hardwood floors greet you in the foyer, formal dining room, and kitchen. The kitchen has 42" cabinets, granite counter tops, island and stainless steel appliances. Enjoy the open great room with gas fireplace. Half bath and laundry room have ceramic tiled floors. The large master suite on the main level has double closets. On-suite bathroom includes granite counter top double sinks, large soaking tub, ceramic tiled shower with glass surround door and ceramic tiled floor. In addition to two more bedrooms and a full bathroom upstairs is a large 17 X 10 bonus room. This home has generous features such as level two or three tile in all wet spaces, crown molding and 9' ceilings downstairs, transom windows above the front entryway door and double transom over the glass doors to the covered back porch. Utilize attic storage space with the pull down attic stairs. You can expect a fully sodded and irrigated front and back yard, mature landscape package, and raised brick slab. The hand-painted cement plank siding, charming board and batten design and dormers add extra character composition to the exterior of this home. The development will have sidewalks and street lights throughout! Street lights will be maintained by the city. Covered pavilion for entertaining and enjoyment is under development as well! 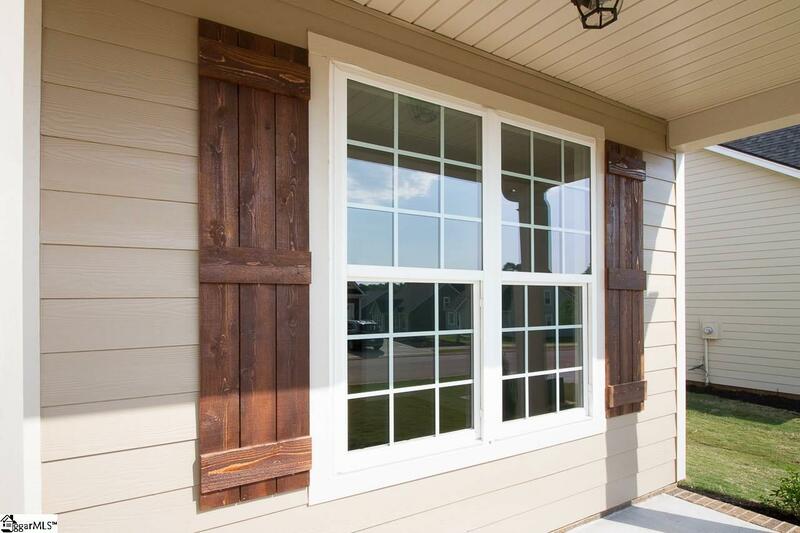 One year builder's home warranty passes with the sale as well as a one year termite bond. Located just off of Harriett Circle near the East/West Parkway in the Midway, Glenview and Hanna schools! More floor plans available for this developing subdivision! The seller is offering a full year family membership to the YMCA to buyers at closing. 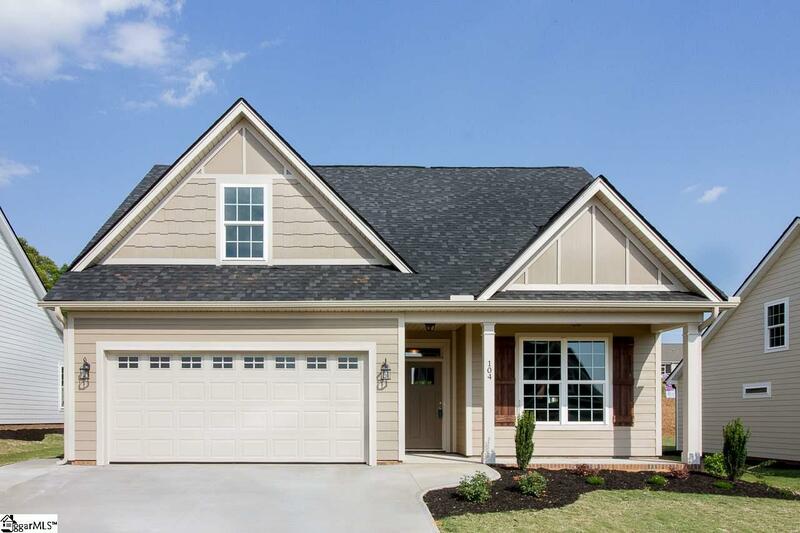 Come see our neighborhood model Wednesdays- Fridays from 2:00-5:00 and Sat/Sun 2:00-4:00 PM.! *INCENTIVES* This property includes the following incentives with the use of the preferred lender and closing attorney: $3,000 towards buyer's closing costs, $2,500 towards an upgrade of the buyer's choice, and a family membership to the YMCA for a full year. Incentives MUST be included in the original offer package to be redeemed. Listing provided courtesy of Amy Tippitt of Bhhs C Dan Joyner - Anderson.